Where Zelda remakes are concerned, Nintendo doesn’t seem to like reimagining 2D games as 3D ones. Yeah, you might get a upgraded port that fixes a few features for a new system (like Ocarina of Time or Majora’s Mask on 3DS). Or you might get a HD reimagining of a game from a few generations ago (like Wind Waker and Twilight Princess on Wii U). But it’s very rare you’ll see a classic Zelda game changed into a 3D one, or a 3D one made 2D. So let’s see what the story is here, shall we? Let’s find out more about Link’s Awakening 64 and the people who worked on it with our Ty Anderson interview! First up, let’s find out a bit more about the game’s creator Ty Anderson. Who are you as a person, outside of ROM hacking and creating this game? What’s your background here? Outside ROM hacking, I am a simple, laid back man. I am 23, I love Reggae music and long days out walking in the mountains and hillside where I live, just being in being in nature really. In fact, it is moments sat on my own in woodland on a hillside, looking at the world that heavily inspired the landscape styles of my ROM hack/Patch. I am a student at university Studying mathematics and Physics, and I work as a carer for the elderly and mentally ill. I hope someday to find myself more permanent employment within the games industry, but for now it’s just love and passion for old school gaming that seems to keep me up each night working obsessively on Link’s Awakening 64. And how about your experience with the Zelda series itself? What got you interested in these games? I’m an N64 generation of gamer. My fascination with the Legend of Zelda series started with the Ocarina of Time, then blossomed with Majora’s Mask. I remember playing these games as a kid, becoming infatuated with exploring this amazing and imaginative world where all these different creatures and beings resided. As a child I used to make up adventures that Link would have, whilst playing with little paper cut-outs and drawings I would make. For me personally, the Legend of Zelda series has always been a place of sanctuary and creativity. What’s the deal with Link’s Awakening? Is that one of your favourite Zelda games in general? Link’s Awakening was the first 2D Zelda game I ever played, and always felt like a really underappreciated title. 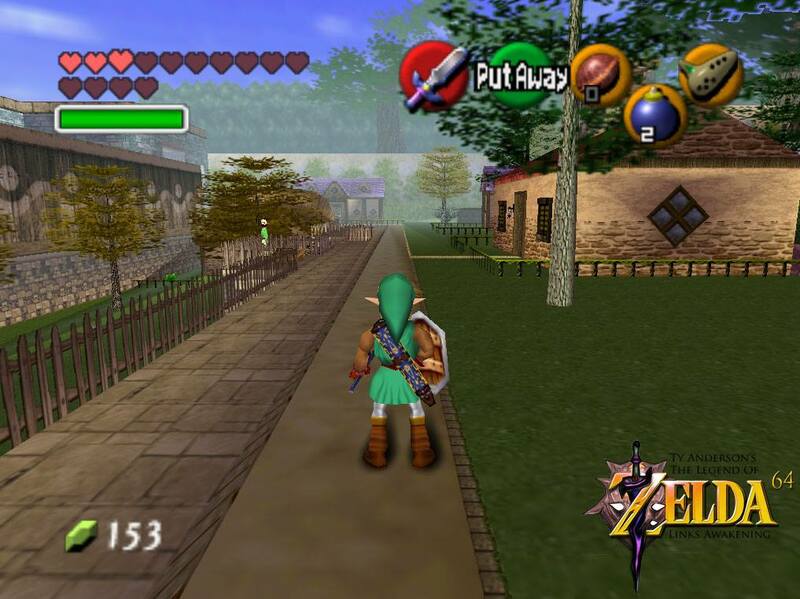 It was also the Zelda title released immediately before Ocarina of Time. 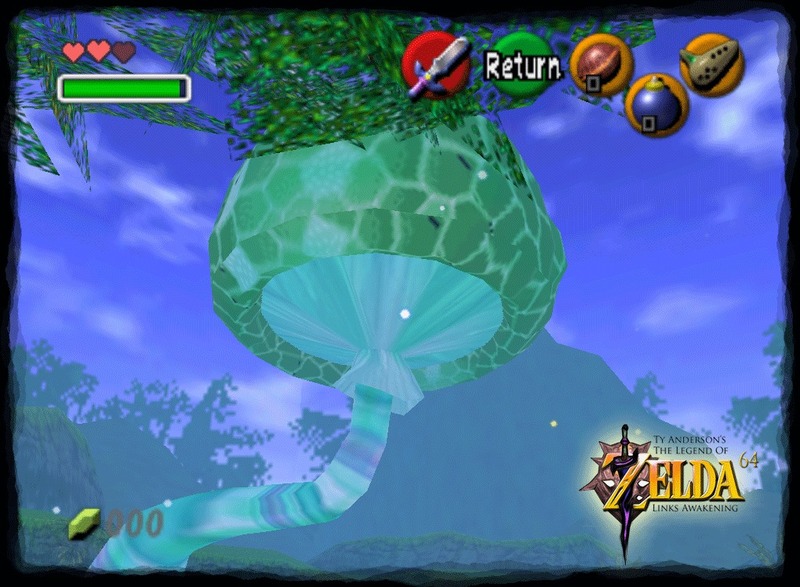 Another reason is that it was set in a dream, which has allowed me to have greater creative freedom as it would not interfere with Zelda historia or preceding events within other Zelda titles. 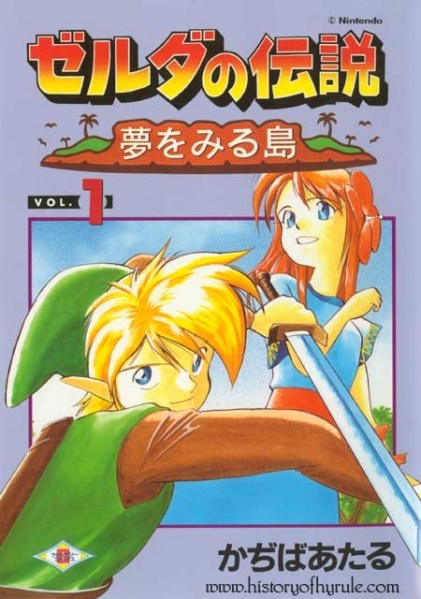 Finally, the manga version of Link’s Awakening had a very in depth and completely untouched storyline that wasn’t really covered in the Game Boy version and I wanted to take a lot of inspiration from this – really delve into this whole dynamic, and yet incredibly dark, love story between Link and Marin. Onto the game itself now. Why did you decide to remake Link’s Awakening anyway? 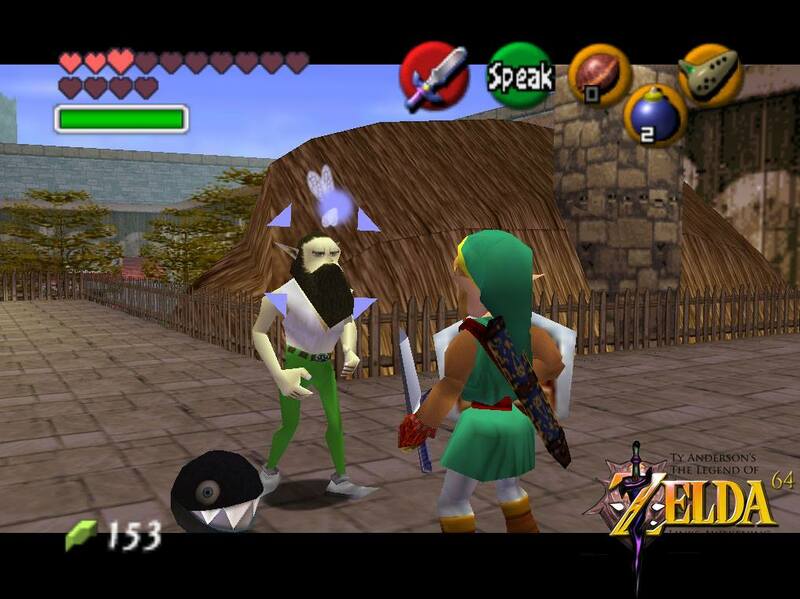 We had all felt very denied after the cancellation of Zethn64’s URA Zelda project, which was for many such as myself a last hope of rekindling a forgotten nostalgia from a Nintendo 64 era of Zelda games. I wanted to give back to everyone and hope that we could all feel like children again, staying up way past our bedtimes exploring all the little secrets the old n64 game had to offer. 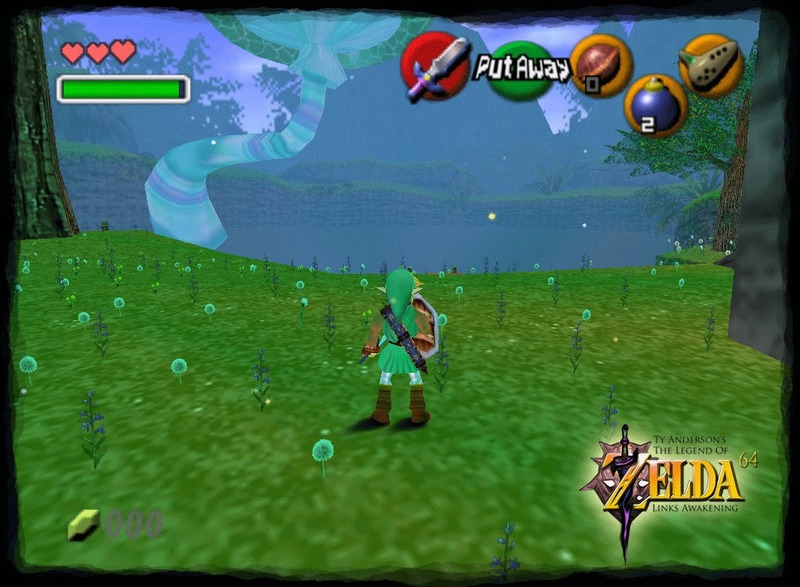 And why in the form of an Ocarina of Time mod? Why not say, a fan game or 2D Zelda ROM hack? As I said before, the N64 era of Zelda-gaming was the most iconic, in my humble opinion. 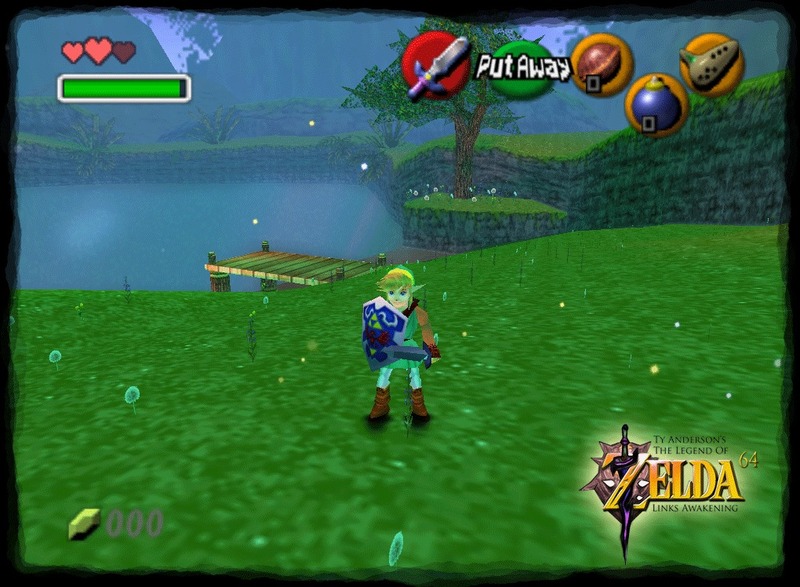 An Ocarina of Time mod was my attempt to deliver on a broken promise from the URA Zelda restoration project. Absolutely. Originally this started as a similar URA Zelda project, as I just wanted to make some temples, just a small expansion. Then, my child-like imagination ran wild and I wanted to conquer something far greater. Hacking an N64 ROM and forcing it to behave as though it is a games engine is a very inexact science, and inherently very difficult. Most of my time I spend studying and taking a reductionist view of the ROM itself, trying to break down its inner mechanisms in order to exploit them. 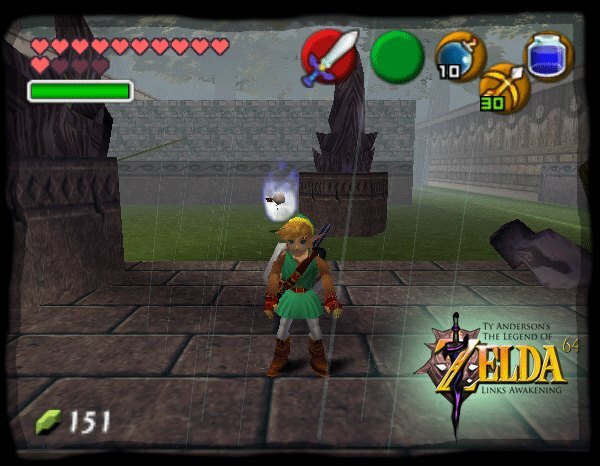 But with passion, perseverance and a little bit of luck, I have been extremely successful and finally have all the knowledge and skill required to make an entire game within the Ocarina of Time ROM as though it were a games engine and not a compiled and finished product. How about the dungeons? Are you planning to remake the likes of Eagle’s Tower or Turtle Rock in this game? Are level mechanics like knocking down one of the tower’s floors going to be recreated here? I intend to have a combination of original dungeons as well as dungeons inspired by the Game Boy game. For you see, I don’t want people to play my game already knowing how to complete it having played the original title. I don’t want to deny a single person that fresh new experience we all love from a new Zelda game. As far as mechanics go, we will have to see. There are also a lot of interesting enemies found in Link’s Awakening. Do all of these appear in this remake? As many as possible, as well as some of my own personal creations thrown in the mix. Absolutely. The bosses are going to be one of the most difficult portions of the ROM hack as I am, of course, extremely limited by the original boundaries of Ocarina of Time. However, I have made the models for a few of the bosses already and am working diligently on their animations. But this will be the very final step, I am working on building the world first and developing the story is my first priority, then will come the temples and all the mind boggling puzzles, and then finally the bosses. Are Link’s Awakening DX elements included here? Like the Colour Dungeon, or the photography side quest? Sadly, there will be no photography side quest as that mechanic was not there originally in Ocarina of Time, and there is nothing close enough to it for me to exploit. Will I one day find a method to pull this off? Maybe.. For now, however, there will be trading side quests as well as a mask collection side quest. I also hear there’s going to be a fair bit of new content in this game. What plans do you have here? More story elements? Extra dungeons? New items? Some of the difference will be the fact that this version of links awakening will include a fairy companion called from Felecia, taken directly from the manga version of Link’s awakening. 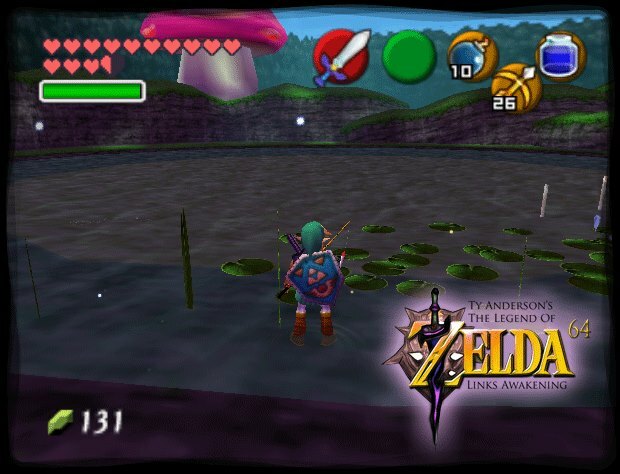 The most iconic feature of Ocarina of times and Majora’s Mask’s game play in my opinion, that makes them stand out from the other Zelda titles, was the fact they were all based around a fairy as a navigation, targeting and help system. 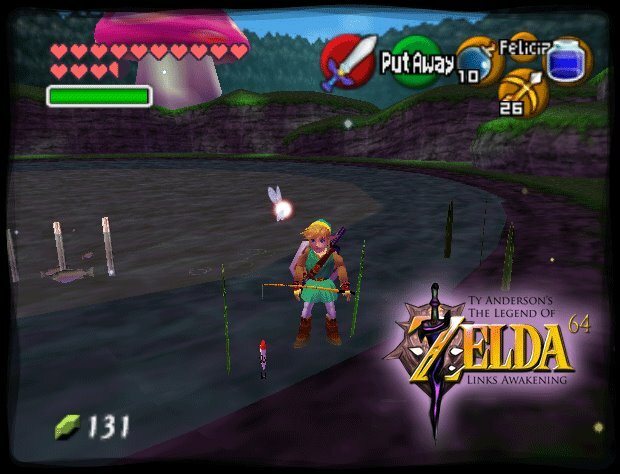 For me, that is one of the key nostalgic features for younger Zelda gamers of the n64 generation like myself, that the proceeding Zelda titles lacked. So I knew I had to keep this as the beating heart of Ocarina of Time’s game mechanics! In the manga Felicia portrayed as a mischievous, headstrong little bossy boots, but when it comes down to it, an incredibly compassionate companion to Link. The manga also goes into way more depth into this whole, dynamic yet haunting and dark storyline of Link’s love interest with Marin that the Gameboy version only touched on. Now what then are some of the original features? Well personally I felt that I as a player and reader of the manga, I could not relate to Link’s lack of reason to wake the Windfish and kill everybody, no matter his duty to Hyrule. Thus I really wanted develop and build on a back story. Why the island was created? Who was the Sunfish? For those of you who played the game, you will know that Mambo distinctly called himself the son of the sunfish. Yet you never meet him in game‽ In fact one can only logically ponder; if the Windfish was a creator god, then what was the Sunfish. So I will be working on a origin story of the Windfish and Koholint island. All the temples will be my own original take on the Game Boy temples, thematically the same, but completely different in every other sense to keep this a fresh experience for all who play it as I said before. Back to elements from the original game now. Where do get the textures and models for characters only found in Link’s Awakening? Are they all custom made? Yes, they are all 100% organic and custom made. Very rarely have I used content from another game, but when I have it is appropriate, such is the case with the Yoshi model found in the trendy game. What about the character ‘following’ mechanic? Because your video shows Bow Wow following Link around like in the original game. Does this all happen with Marin and the ghost like in the original? 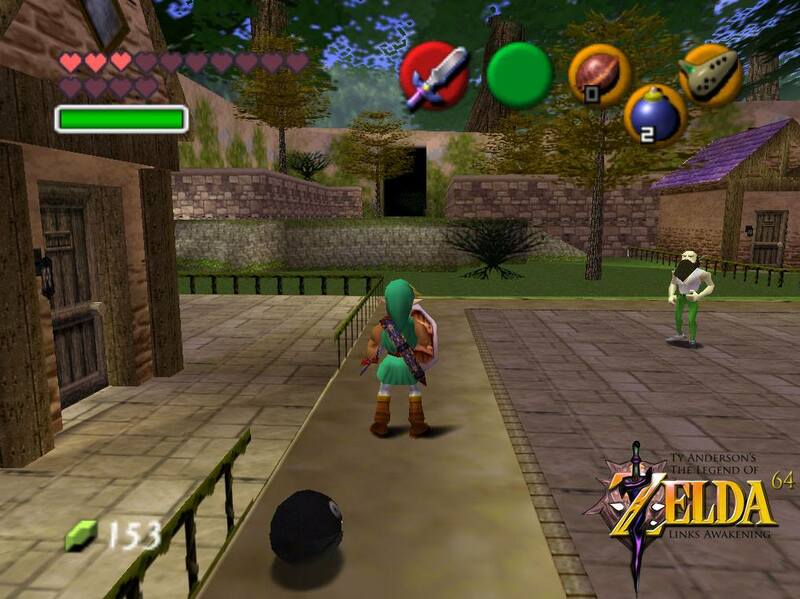 Again, it is about exploiting already made possibilities in Ocarina of Time. I still want to leave a little bit of mystery as to how I do all of this..
Who’s making the music for this game? Are you porting all the songs yourself? Eds Note: Lezg_g was also one of the composer’s for Mario 64: Last Impact. He composed the fantastic boss music for the first phase of the final boss battle there. Finally on a content related note; does Ocarina of Time’s time travel mechanic appear in this? Or has it been removed altogether? It doesn’t appear, but has been heavily exploited to give a sense of time progression in the game. 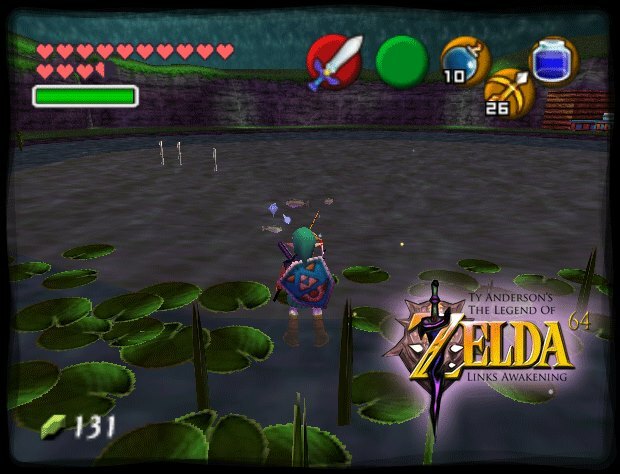 Ocarina of Time hacks have been a thing for a while, but fairly few seem to be particularly complex on a technical level. Could your one change this trend? Like how Super Mario 64: Last Impact revolutionised Super Mario 64 hacks? I’d like to hope so. I have put a lot of effort into this and discovered many new methods that could revolutionise the modding community. And before I begin teaching others, I would like to focus on finishing my own mod. And have there been any times where the engine’s limitations made development frustrating here? You also seem to have more of an internet presence on Facebook than Twitter, YouTube or any form of official site. Is there a reason you picked Facebook as you main platform for posting updates? I’m a simple man, I’m not very social-media savvy and I originally only set up the page for a few people that I knew in the modding community so I could post pictures more regularly rather than just videos. I didn’t expect it to get as big a following as it has. I’ve also never used Twitter before. I believe I have a veil of safety with a ROM hack, but if ever this should happen all the models I have created (my own designs) and much of the storyline is my own interpretation and thus the 50% that is my original work can easily be moved into the CRYENGINE and be produced as a whole HD game. I don’t want to leave fans disappointed. But let’s hope it doesn’t come down to this, and perhaps if enough fans sign petitions and voice their opinion of how much they wanted this to happen, Nintendo would change their minds. They do listen to fans. On a more positive note, what are your plans once the project is done? Do you plan to move on to another game or hack? Once the project is complete, I intend to work on my own original game. This will be done in the CRYENGINE and I hope to make an open-world dungeon exploration RPG. 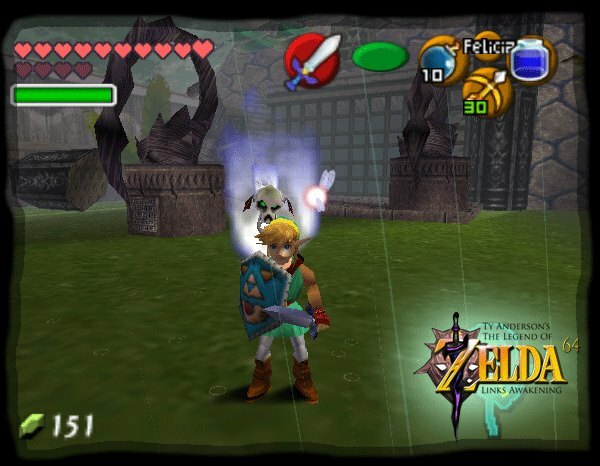 Finally, what advice would you give future ROM hackers looking to make their own Ocarina of Time ROM hack? If you are on a team make sure each member is capable of creating the rom singlehandedly, too many have fallen due to an internal struggle within the team, and a crucial member has left with no one to take their place. Don’t promise anything you are not 100% sure you can achieve, persevere, never rush, believe in yourself and make it your own no matter what! This is your artwork, your labor of love and your tribute to Nintendo, as long as you are inspired you have what it takes! So that ends the interview. 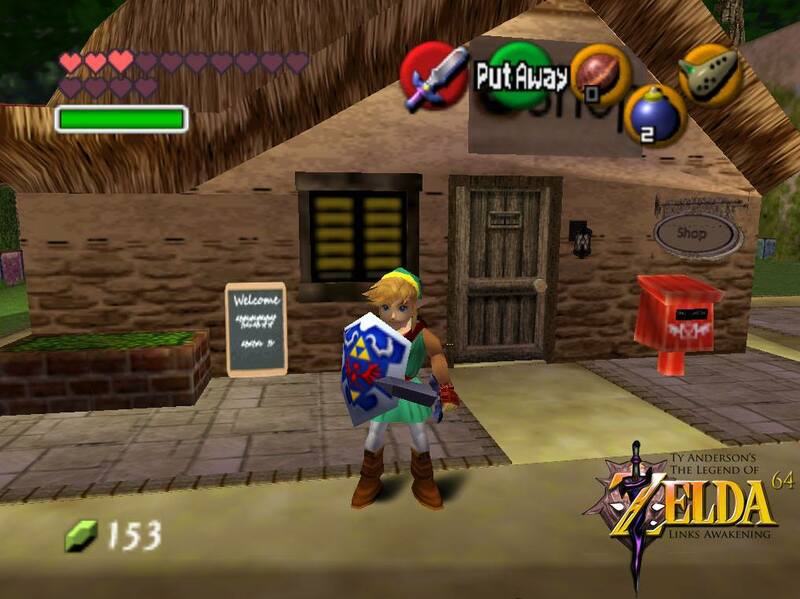 Hopefully it gave everyone an insight into the development of a fantastic Ocarina of Time mod, as well as cleared up a few questions you may have had about the project in general. Either way, you can find out more about Link’s Awakening 64 via the links below. So check out the official Facebook page, subscribe to Ty on YouTube and show this fantastic ROM hack the support it truly deserves! 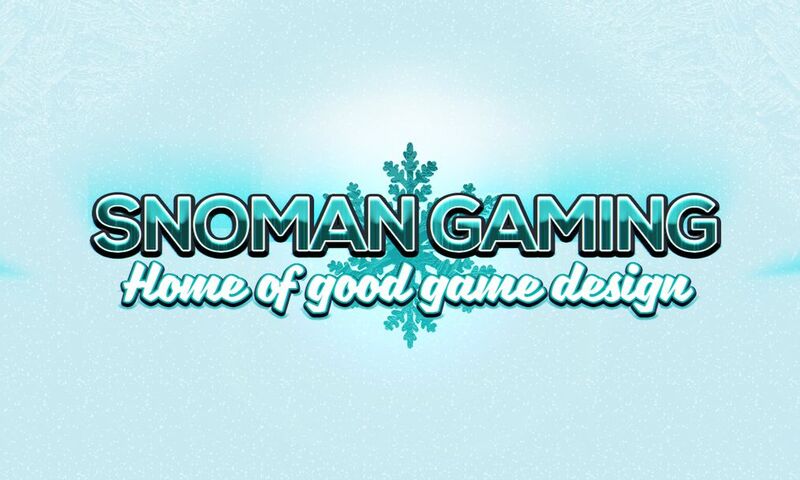 Let’s Interview: Game Design YouTuber Snoman Gaming!